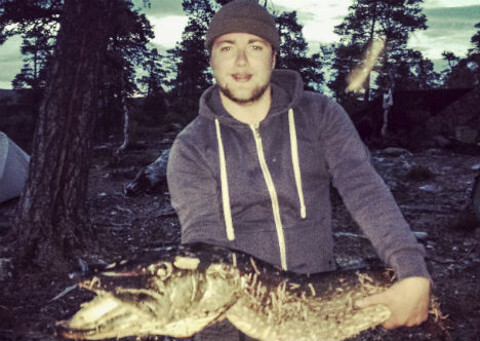 Liam Mårskon, 20, was in for a real surprise when he fished an 18-pound pike out of the waters of Härjedalsfjällen, in northern Sweden, with his friends. Let’s just be up front here: The large fish had a half-eaten sausage trapped in its stomach, with the wrapper still on. The sausage was labeled as a falukorv, a popular sausage in Sweden that is typically served with rice and a creamy red sauce. Below is a picture of Liam with his sausage-fish.